Should NATO members spend more on bureaucrats keeping the peace in Brussels or on military operations? 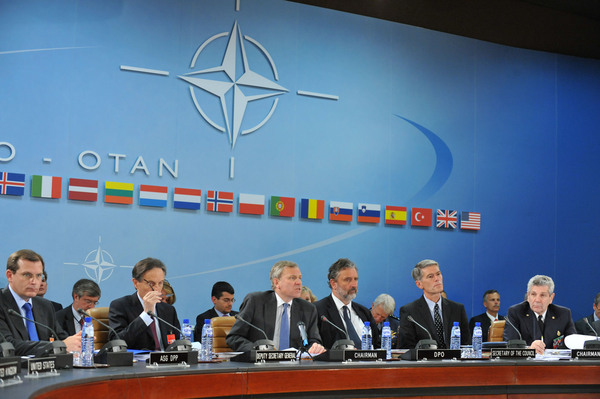 From DutchNews.nl: "Thursday 11 June 2009; Nato should cut costs in its command structure to free up more money for operations such as its security mission in Afghanistan, Nos tv quotes defence minister Eimert van Middelkoop as saying. Nos says Van Middelkoop made the plea in a letter to his Nato colleagues. 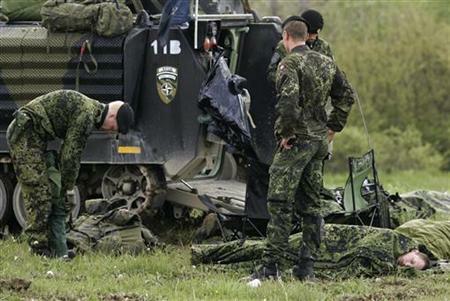 Nato spends €545m on its headquarter operations and just €362m on military operations, Nos says." Busy meeting of NATO's Defense Planning Committee this week, with a decision on reducing KFOR, dedication of a memorial to those who died on NATO missions, and a forum with the Euro-Atlantic Partnership Council. NATO was careful to not declare victory in Kosovo, but instead described the KFOR reduction as a gradual process tied to continuing positive developments. 2009 is not even half over, and it has already been a historic year for NATO. Although many have wondered what de Gaulle would say about the reintegration of France into the military command structure of NATO, would it not be more surprising how Eisenhower, the first SACEUR, and the other founders of the alliance would react to yesterday's ceremony to honor those who died in "out of area" missions? From NATO: "A ceremony with Troop Contributing Partners was held on 12 June 2009 at NATO Headquarters to pay tribute to those who have fallen in NATO operations. The NATO Secretary General, Denmark’s Minister of Defence and the Chairman of the Military Committee unveiled a monument donated by Denmark to honour those who have fallen in the service of the Alliance. The Secretary General thanked the men and women from Allied and Partner countries who have served and are serving in NATO operations and honoured those who lost their life in the service of the Alliance. “The placement of this monument here, at the entrance to our Headquarters, will be a permanent reminder – not just that they gave their lives so that we could enjoy ours – but also of the consequences of the decisions that we take in this building”, he added. From NATO (6/11/09): "Currently, ten Partnership for Peace nations participate in NATO-led operations and missions from the Balkans to Afghanistan, contributing some 2.700 personnel. From Taiwan News: "(Associated Press): Sarkozy has proposed Gen. Stephane Abrial to head the NATO transformation command in Norfolk, Va., and Gen. Phillippe Stoltz to lead an operational command of rapid reaction forces in Lisbon. They would succeed two American officers." From isria.com: "Mr Riekstins expressed gratitude for Germany's contribution to date to the airspace patrolling mission in the Baltic states. The minister emphasised that NATO's airspace patrolling policy is a powerful evidence of the indivisibility of Allied security. Besides, the airspace patrolling mission is a clear and tangible proof of NATO presence that in its turn increases public support to NATO membership." From apa.az: "The NATO Euro-Atlantic Partnership Council has today kicked off a workshop “Energy Security: Challenges and New Opportunities, bringing together representatives from NATO, Azerbaijan’s relevant bodies and foreign diplomatic services based in Baku." From swissinfo.ch: "BRUSSELS (Reuters) - NATO plans to scale down its 15,000-strong KFOR peacekeeping force in Kosovo to 10,000 by January because security and political conditions have improved, a U.S. official said on Monday . . .
From Navy Times: "Some are part of the U.S.-fostered Combined Task Force 151, led at the moment by a Turkish admiral. Other combatants in the area fall under a NATO mission called Operation Allied Protector, ships that include the U.S. frigate Halyburton, led from the flagship frigate Côrte Real of Portugal. The European Union organized its first maritime task force for the counterpiracy mission, known as EU NAVFOR-Atalanta, which in addition to German, Greek, Spanish and French ships boasts a newcomer to such warm waters — two corvettes and a supply ship from Sweden. And finally there are the independent operators such as China and Russia who arrived with various mandates, to include protecting their nation’s commercial shipping. On top of that, perennial foes India and Pakistan are onboard, along with two ships from the Iranian navy — the frigate Alborz and fleet supply ship Bushehr . . .
To prevent such potential dust-ups, allied nations use established systems to communicate, while there have also been some work-arounds to handle newcomers — China, for example. 'We just e-mail communications with the Chinese navy’s Yahoo account,' said Cmdr. Jane Campbell, a spokeswoman at 5th Fleet in Bahrain." 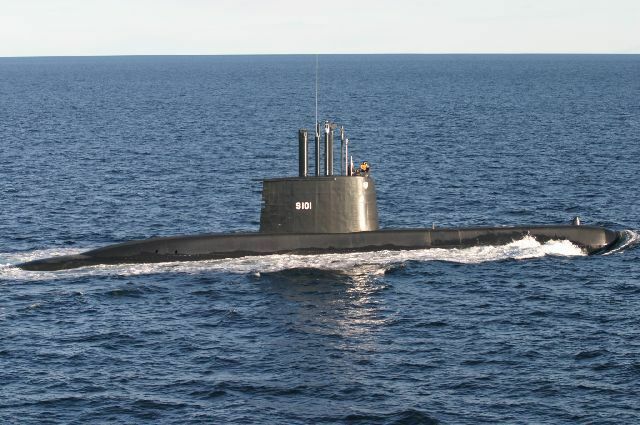 From South African Navy: "History is in the making with the South African Navy hosting the first North Atlantic Treaty Organisation (NATO) Submarine Escape and Rescue work Group (SMERWG) meeting, held for the first time outside of Germany.